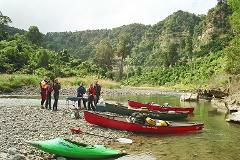 3 Days guided exploring the Whanganui National Park by Canoe. Just bring sleeping bags and personal gear and we do the rest. 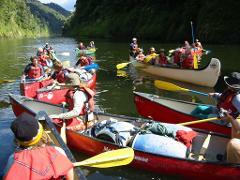 5 Day Guided Canoe Tour exploring the Whanganui National Park. No experience needed. You bring sleeping bags and personal gear and we do the rest. 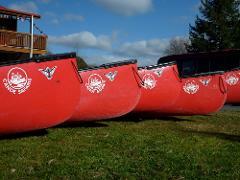 3 Day Guided Whanganui National Park Canoe tour in our 6 person Voyageur Canoes. 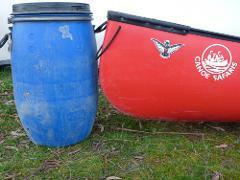 3 Day Guided Rangitikei River Canoe. The Rangitikei river carves its way through the steep deep papa gorges of the Kaimanawa and Ruahine ranges on its journey to the Tasman Sea. The rapids are grade one and two, and the scenery spectacular. 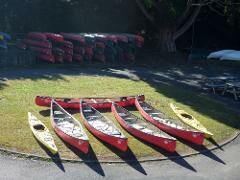 2 Day Rangitikei River Canoe. The Rangitikei river carves its way through the steep deep papa gorges of the Kaimanawa and Ruahine ranges on its journey to the Tasman Sea. The rapids are grade one and two, and the scenery spectacular.